Staff Type Weapons are used since hundreds of years and are a part of the Japanese Karate Martial Arts style. There are many different forms of staff’s used in video games, often they are similar to the Bo, but sometimes changed to fit the game’s theme. 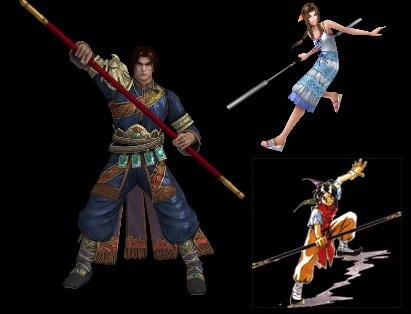 Some of the more popular video game characters using Staff Type Weapons are Killik from the SoulCalibur games, Aerith from Final Fantasy VII and the Hero from Suikoden 1. Staffs are also a part of many hack n slash games like the Diablo series.